Hydrolysed Collagen for stronger muscles and elasticity, collagen levels fall as we age. Direct link between low Vitamin D Levels and pelvic floor disorders. Vitamin C combines with collagen for repair, rebuilding and strengthening tissues and muscles. 12 week (3 month) daily dose, use alongside pelvic floor exercises for even better results. Worth more than £60, save over £10 with this Pelvic Muscle Exercise Pack. 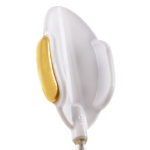 If, like many women you have finally decided to ‘do something’ about your weakened pelvic floor and you are investing in a Kegel8 pelvic floor exerciser – it makes sense to also look at the nutritional health of your body. Granted you might eat healthily and think you have a well-rounded healthy diet, but did you know that many pelvic floor problems can be directly linked to vitamin and mineral deficiencies? I know, startling isn’t it? That our body is missing vital nutrients and it is actually showing-up in our pelvic floor! The selection of vitamins and minerals we have chosen for our Pelvic Floor Exercise and Strengthening Pack is recommended to help with many different pelvic floor conditions as they result in a stronger pelvic floor. 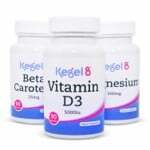 Kegel8 supplements should be taken daily and will last you 12 weeks (3 months). We strongly urge you to complete the supplement course alongside our 12 week Kegel Exercise programme to ensure you get the very best results. Each supplement has been selected to improve many pelvic health symptoms, alongside strengthening the other muscles within your body. An essential supplement if you want to strengthen your pelvic floor muscles. There is a strong correlation with women suffering from pelvic floor disorders, also suffering from a deficiency in vitamin D. Supplementing with vitamin D3 can slow the natural ageing of our muscles and skeleton. 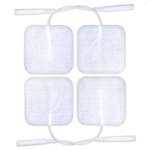 Gives our skin and tissues firmness and flexibility. Collagen supplements can be taken to improve the success of resistance training, and pelvic floor muscle exercises are no exception. As we lose collagen through the ageing process, it especially important that we increase the efficiency of our muscle exercises. Collagen gives our skin firmness and flexibility. Studies show that boosting collagen may add lean muscle, increase your metabolism, energy and vitality too. It is that vital ‘glue’ like ingredient (we call it glue for your pelvic floor muscles) and it is essential for growth, development, repair and maintenance of several tissues and organs of the body. Vitamin C supplements are recommended for individuals suffering with wounds due to the central role they play in collagen metabolism and inflammation. Vitamin C is water-soluble so cannot be stored in the body, that’s why a regular good-quality supply of Vitamin C is essential. Our comprehensive multi vitamin and mineral blend containing many active ingredients that will help to ensure your pelvic floor muscle exercising deliver the best results possible. 3 month supply of the following supplements: Vitamin D3, Collagen, Vitamin C and Mega H40.